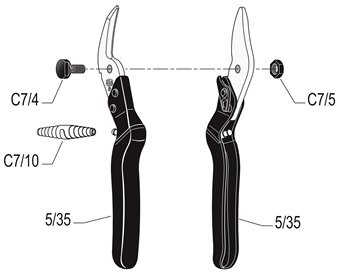 The FELCO CP is an all-purpose universal cutter. Expect clean, precise cutting of wood, paper, cardboard, wire, sheet metal, mesh, leather, packing straps, rubber, plastic, and more. The tool is made from hardened and pressed steel for extra durability.